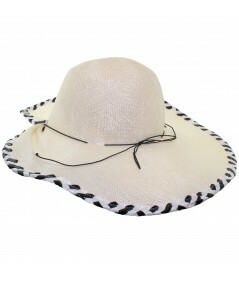 Parasisol Summer Hat with Braided Italian Two-Toned Raffia Edge and Back Divot. 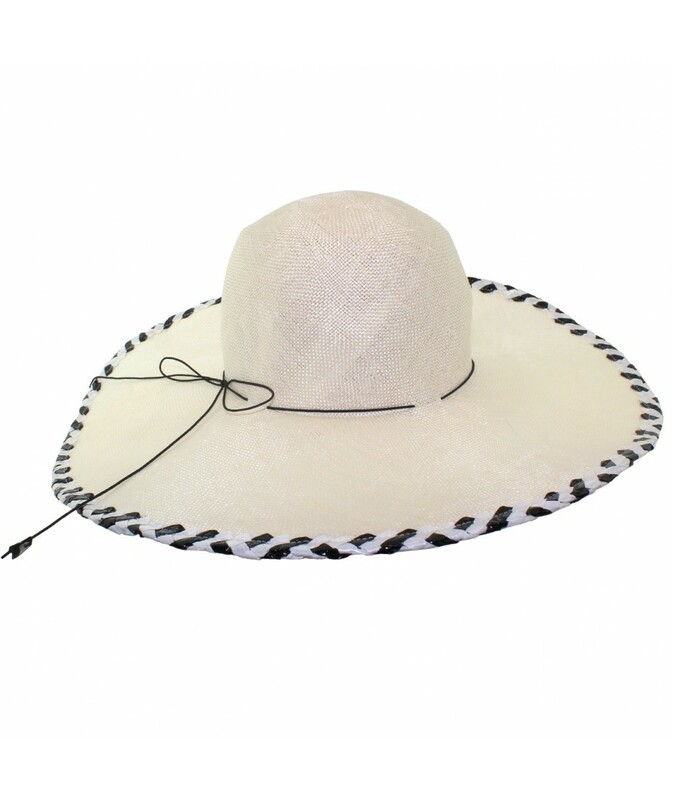 Features a Skinny Elastic so You Can Adjust the Hat to Your Head Size. Perfect For the Beach!